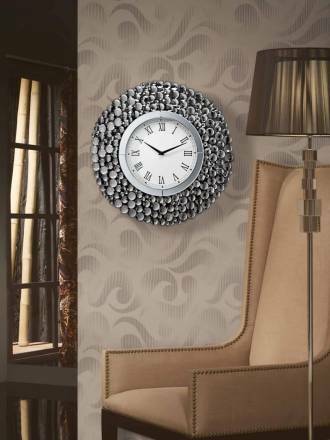 Wall clocks can make a difference in the decor of any home or business. Here you will find modern, original and design wall clocks, with high quality finishes and designed to transform your environment. 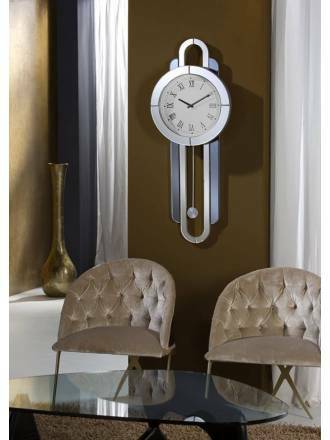 SCHULLER Aurora wall clock manufactured in gold leaf. 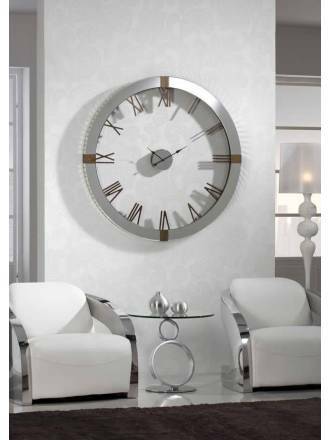 SCHULLER Aurora wall clock manufactured in silver leaf. SCHULLER Pisa wall clock 50x50cm. Frames with antique finish beveled mirrors. Hours marked with circles carved glass. 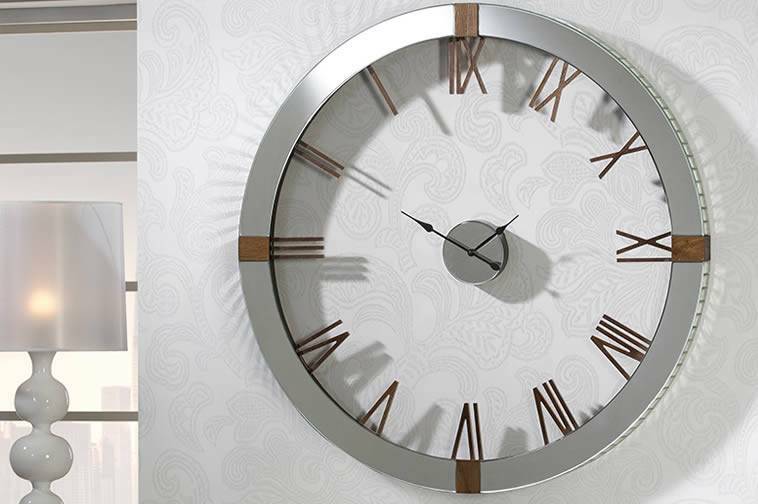 SCHULLER Adam wall clock frame in square design and beveled mirrors. 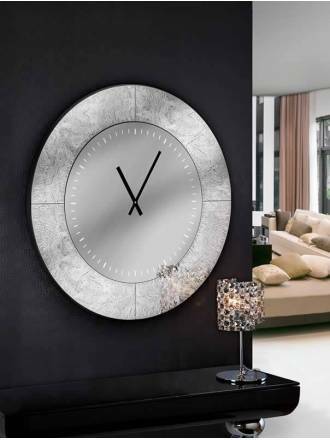 SCHULLER Esfera wall clock made with glass and beveled mirrors. 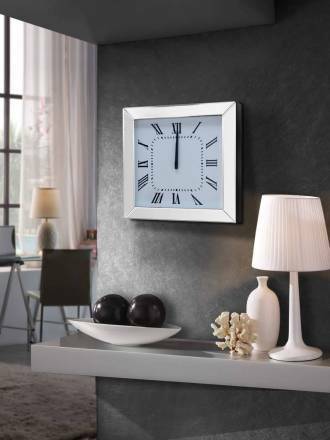 SCHULLER Times wall clock frame made with beveled mirrors and ash wood. 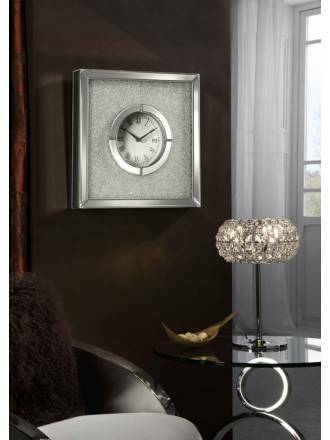 SCHULLER Verona wall clock frame made with beveled mirrors. 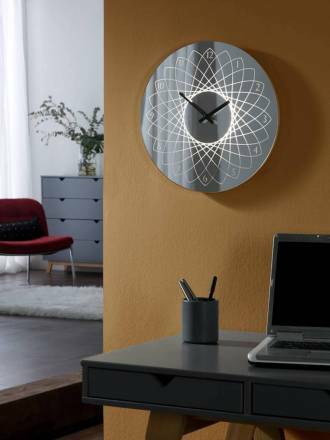 SCHULLER Lyon wall clock with LED light. Made of metal and glass, sphere with backlighted graphic. SCHULLER Niza wall clock frame made with beveled mirrors and glass. 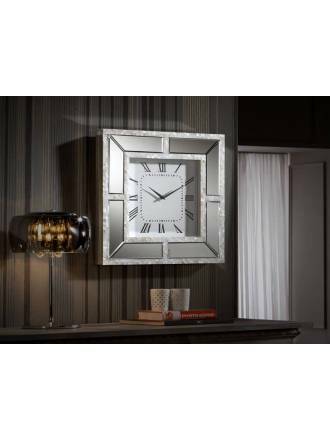 SCHULLER Lucy wall clock frame made in square design with mirrors in various formats. 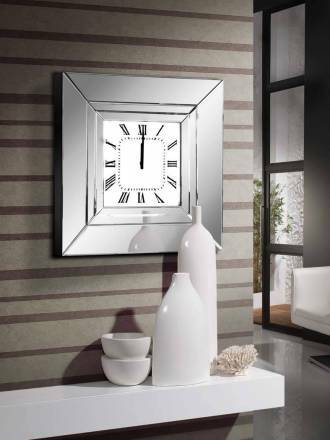 SCHULLER Nacar wall clock frame made with beveled mirrors and nacre stripes.